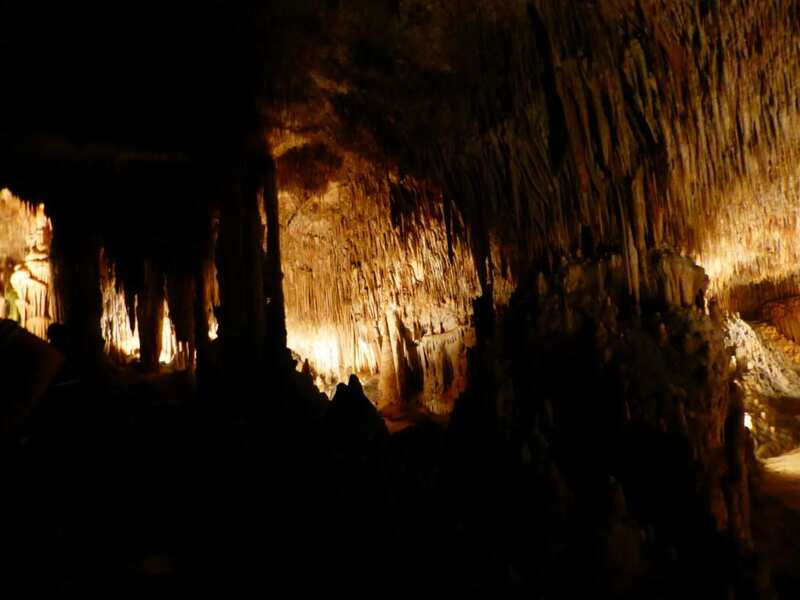 Home » Celebrities » Comments » Countries » Europe » History » museums » Popular Articles » tours » Travel » Majorca’s Dragon Cave. 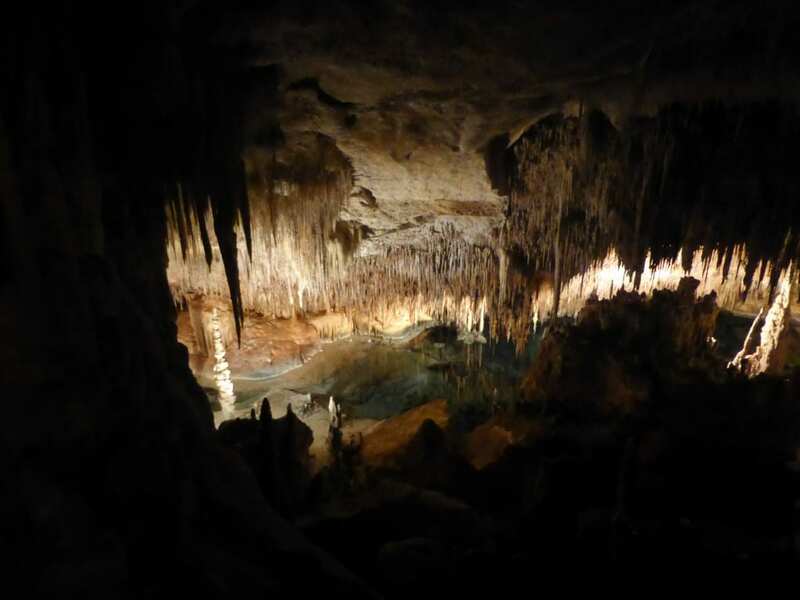 I’m fascinated by caves full of lakes, stalagmites and stalactites. They show Mother Nature at her most talented. How can they vary so much? Which is which? The best one I heard was, if you’re a mite you grow up, and if you’re tight, you fall down! 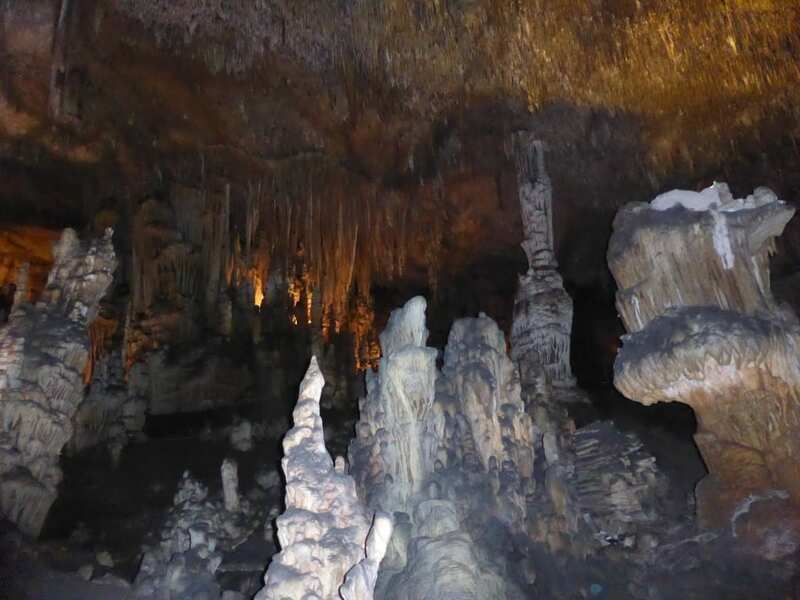 When in Majorca, we decided we had to visit the Cuevas del Drach, or Dragon’s Cave. I have no idea why it’s called that. 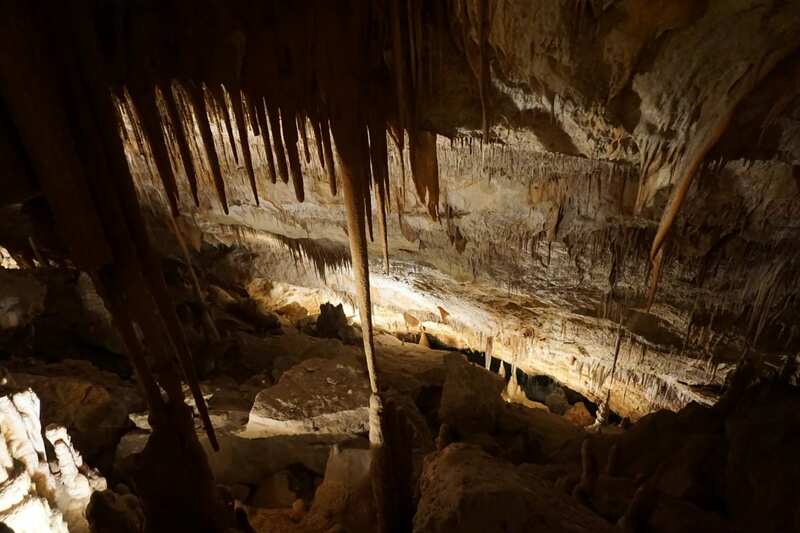 The limestone caves formed during the Miocene period, around 5.3-11 million years ago. 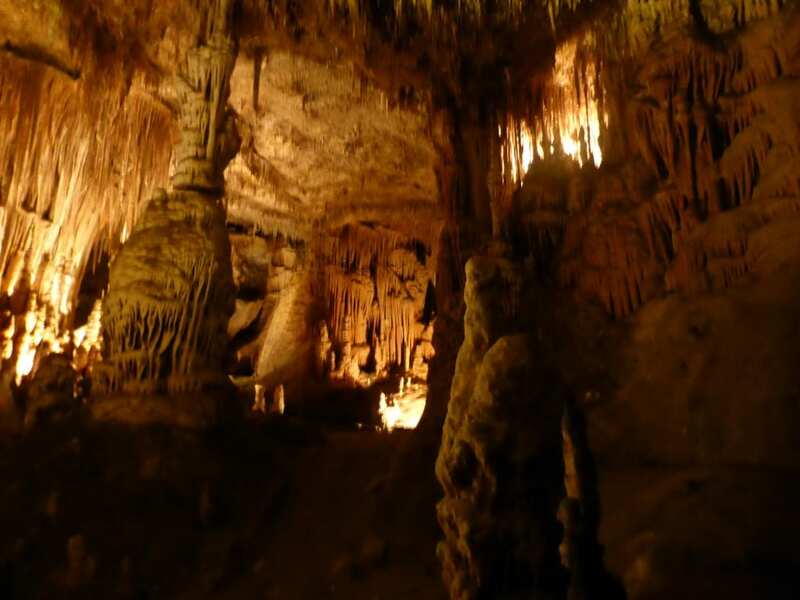 The stalagmites and stalactites grow between 0.2 and 1.6mm per year, or 1cm every 100 years as water drips onto them. 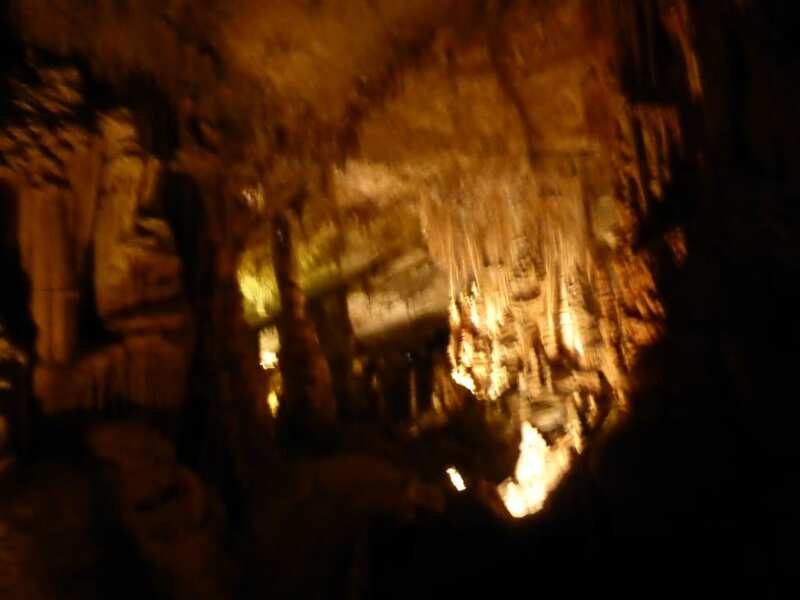 During the Middle ages the caves were already known, so I don’t know when they were discovered. They were first documented in 1338, and began to be visited from the 18th century. M F Will, the German topographer, explored them and drew the first detailed plan, and was followed by the French speleologist (a scientist who studies caves) EA Martel, who discovered the cave where Lake Martel is, which was named after him. More about this lake later. 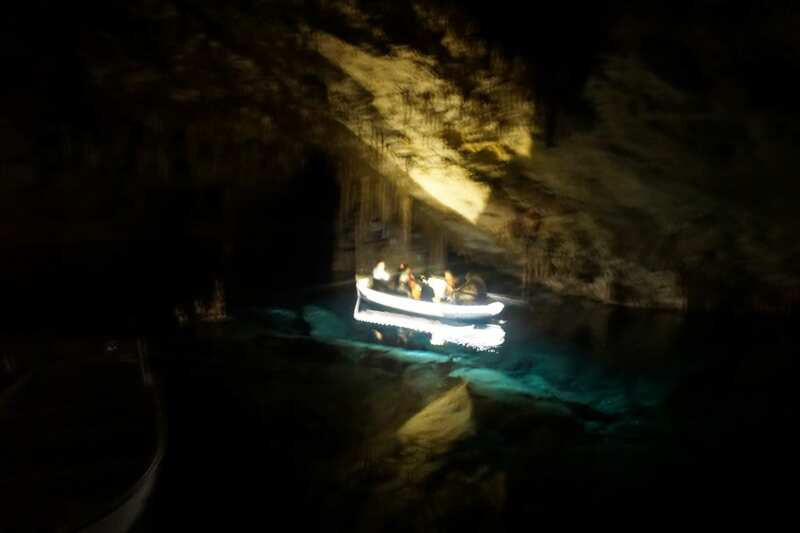 Between 1922 and 1935, part of the cave was fitted with electricity and prepared for tourists. 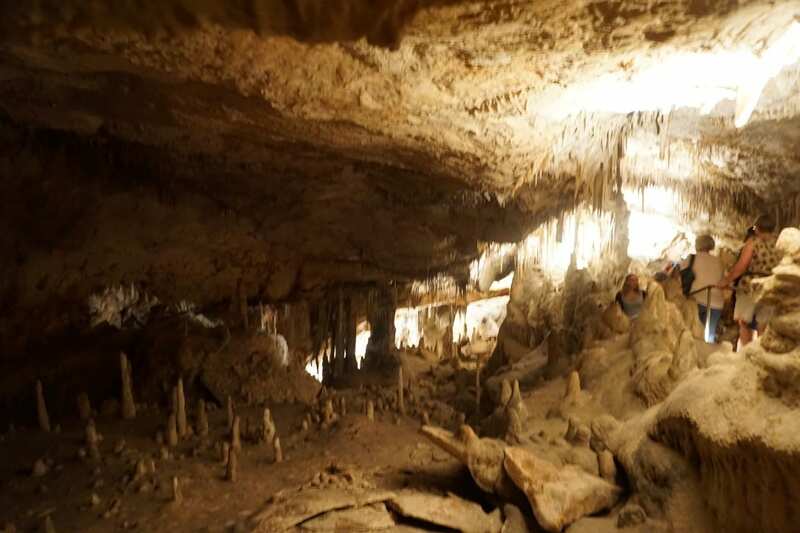 There are actually four caves, called Black Cave, White Cave, Cave of Luis Salvador, and Cave of the French, and they’re connected to each other. We queued to go in, but we didn’t have to wait long. Unlike other caves I’ve known, it wasn’t slippery underfoot at all, and was easy to walk round. Straight away we were surrounded by amazing sights, all cleverly lit. It was easy to spot shapes and forms. But why is it that in the photos they don’t look a bit like they did at the time? We descended to Lake Martel, which is in a huge natural amphitheatre, filled with rows of seats where we all sat down waiting, and unsure what to expect. Within a short time, the lights were dimmed and the lake was lit up. Then we heard classical music, getting nearer and nearer, and a boat appeared from the left with four musicians in it. 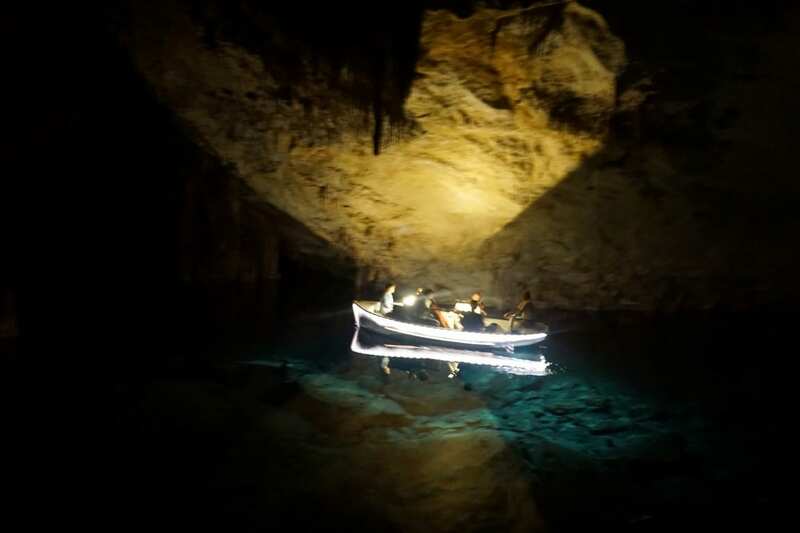 The gentle sound echoed in the cave and we all sat in complete silence, completely lost in the atmosphere. The performance lasted for ten minutes and then the boat drifted away, leaving us all wanting more. Nobody applauded. It would have been somehow disrespectful. Instead, we just stood up and walked quietly away. When we came outside again, we had a coffee in the café, which was a reasonable price. Then we crossed the road and walked along for a short while. We cut through an alley and walked down some steps and we were on the coast beside a marina. It’s owned by Rafael Nadal, the tennis player, and he keeps his yacht there. 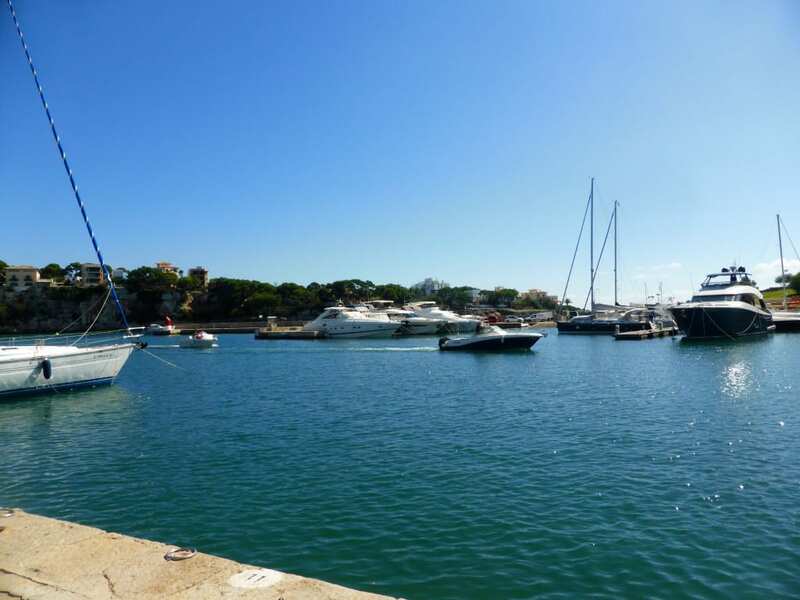 Porto Cristo, the town, is well worth a visit. It has a good selection of shops and restaurants. 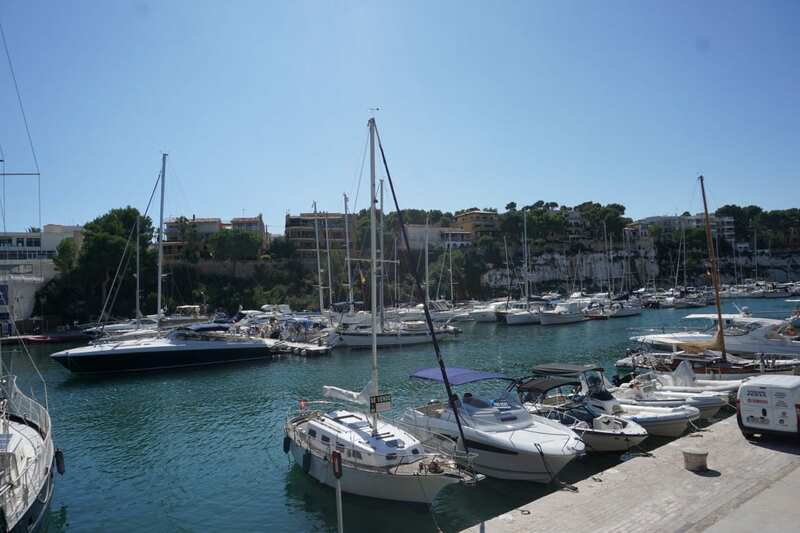 Both the Cuevas del Drach and Porto Cristo are very easy to visit on one of Majorca’s excellent regular buses. « To Vienna for art!